The Amnesia Haze Automatic is the result of many years breeding. A cross of the Amnesia Haze.. 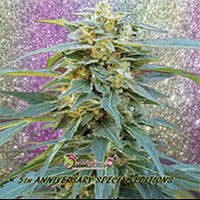 Amnesia Haze Automatic Female Cannabis Seeds by Royal Queen Seeds: The Amnesia Haze Automatic is the result of many years breeding. A cross of the Amnesia Haze, bred in The Netherlands in the 1990's by Hy-Pro Seeds. The original Amnesia, aka Amnesia Haze, Champagne Haze, The Bomb, Ultra Haze and many others names is classic Sativa strain, popular everywhere. The biggest downside of Sativa strains like Amnesia is that it can take a while to flower, 12 weeks on average, but some phenotypes can take up 20 weeks. This is simply too long for many growers. She can also grow quite tall; this can be another issue for some growers with limited space. The Amnesia Haze Automatic aims to solve these problems. 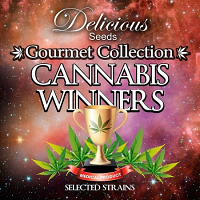 Offering the same euphoric high and spicy, sweet taste as the original Amnesia but with a heavily reduced growth time and a much smaller height. This means she can be grown by many growers who before would not be able to grow her. Indoors she will take around 80 days from seed to bud. In this time she can grow quite large, especially when compared to other autoflowering strains. This is a clear sign of her Sativa dominant genetics - tall plants, large thin leaves and long stretching buds. 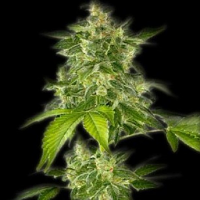 The Amnesia Haze Automatic is a vigorous plant that can grow to heights of around 80-150cm. This large Sativa dominant autoflowering strains, much like the original Amnesia, gives generous yields of high quality hazy buds. She likes to be fed well, but be careful not to over feed her, as like as Hazes she can be sensitive to nutrients. After 80 days of growth and flowering you will be left with a good yield, around 40 grams on average and up to 150 grams in ideal conditions. She gives long, fox tail like buds with a sweet, spicy, musky aroma. All in all she has the classic Amnesia aroma, flavour and effect. 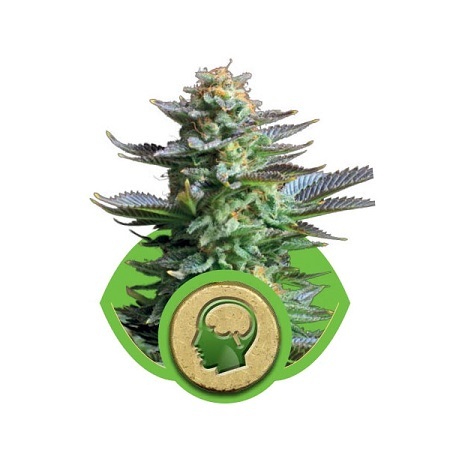 The Amnesia Haze Automatic is the perfect autoflowering variety for lovers of the Haze.